Oriental rugs are often the prized object in your home. Many people plan their entire interior design around a stunning rug. 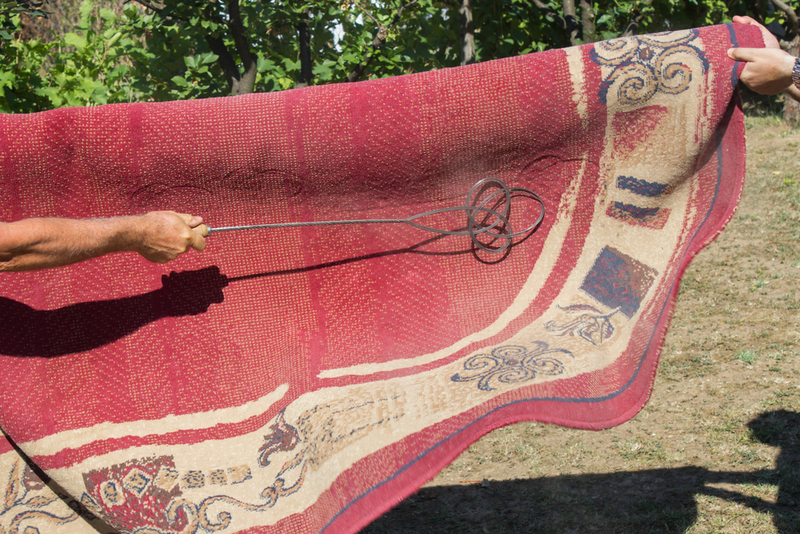 As a result, your antique rug needs to be treated with care and respect. So join us today as we discuss how to properly clean an oriental rug. There are many well meaning blogs that give advice on how to clean your prized oriental rug at home. However, some advice can cause serious damage to your rug. 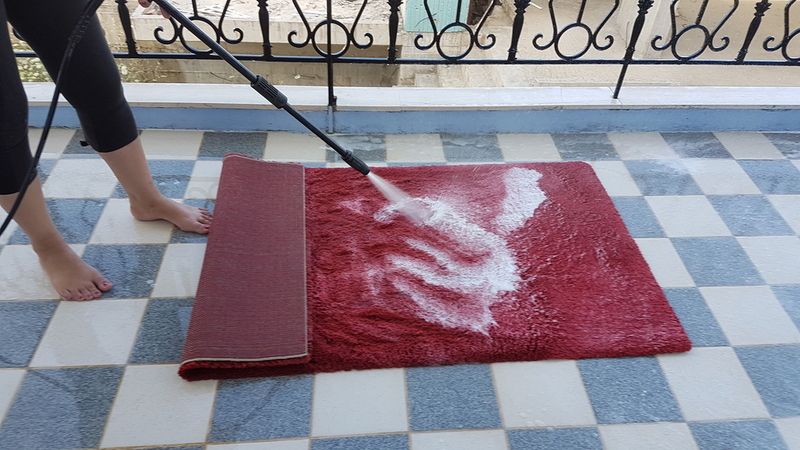 You should never use a garden hose – or any kind of high pressure hose – to clean, “pre-soak” or rinse your rug. 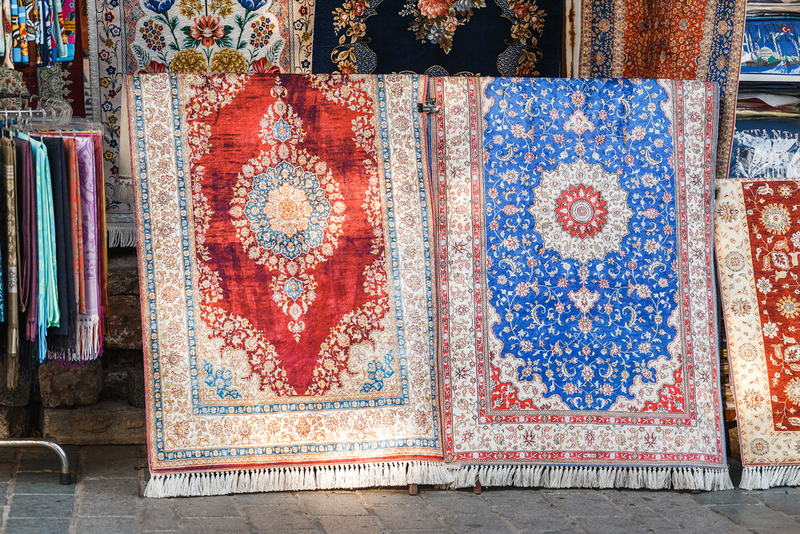 Further, buckets of liquid soap and water – or any at-home chemical cleaner – can cause further damage to your rugs. Home cleaning cannot dry out your rug appropriately, meaning water and/or chemical residue will remain in the fibres. It can cause a “wet dog” smell that may never completely disappear at best. At worse, residual water can cause your rug to rot or grow dangerous mould. Further, it can create a water damage issue to the surface the rug normally sits on – including wooden and carpeted flooring. Further, we all know what happens when water and dirt meet. That’s right, you get mud. This occurs in home cleaning when you don’t get all the dirt out before you add water to the mix. The resulting mud can be extremely difficult to remove and can cause worse staining. What Can I Do at Home to Clean my Oriental Rug? There are some options you can do from home, between visits to a professional cleaner, include gentle vacuuming. Soil in rugs acts like a kind of “sandpaper” that can wear away at the rug fibres. While home vacuuming cannot completely clean soil out of your rug, it does help between washes. Blotting up stains as they appear helps prevent stains worsening, but rugs should be taken quickly to a professional cleaner. Home cleaning chemicals can damage rug fibres – including causing dyes to bleed and ruining the look of the rug. Small rugs can be taken outside and carefully shaken to try to loosen up some of the dirt and dust harboured in the fibres. Rotating rugs, as well, can help them from being unevenly worn down as well. It is best to rotate your rugs at least once a year. Should I Get My Oriental Rug Professionally Cleaned? We recommend having your oriental rug cleaned at least once a year – or more if it has been the victim of a spill or a pet stain. Professional cleaning for fine rugs includes both surface cleaning and deep cleaning. Soiling of a rug happens so gradually that your rug can be filled with kilograms of dirt before it appears dirty. So surface cleaning alone is not enough. Professional cleaning ensures that rugs are not only dirt free, but they are carefully deep cleaned and dried. This way, your rug won’t have any residual water in it to cause mildew and mould. Professional cleaning can also help by allowing technicians to continually assess and check your rug so it can be given a more specialised treatment if required. It also allows professional cleaners to check for any areas of the rug that might need to be restored or repaired. Further, professional cleaning is a far more gentle and effective process than home cleaning methods. Specialised drying rooms ensure rugs are appropriately dried out and clean before they are ready to be delivered home – or picked up. Your oriental rug is a true treasure. As a valuable investment and fine textile, your rug need a great deal of attention to detail. A professional cleaner will make sure that your rug is protected, as best as possible, from damage caused by dye bleeding or worse. If you want your precious oriental rug appropriately cleaned, please contact Woods Rug Laundry today.